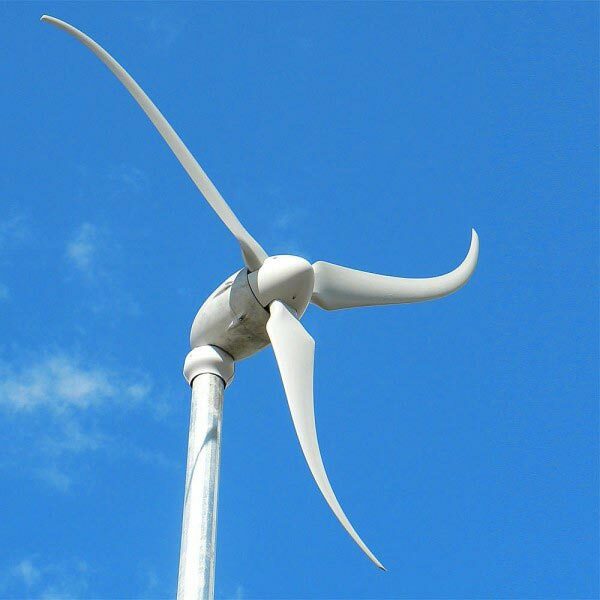 Small wind turbine, or domestic wind turbine, refers to small and medium-sized wind turbines, from 100 watts to about 20 kilowatts, with mast not more than 12 meters. Beyond that, we speak either of commercial wind turbines (between 12 and 30 meters) or of industrial wind turbines (more than 35 meters). Being pale, of the type Proven or type Inclin, the small wind turbine is developing in both rural and urban. To install a wind turbine greater than 12 m, a building permit must be submitted to the town hall. For a wind turbine less than 12 m, no need for a permit, you must make a declaration of works.Performance can vary very significantly from one area to another depending on the wind potential available. The average lifespan of a wind turbine is about 30 years. -to supply power to an isolated site not connected to the electricity grid. In this case, the energy produced from the wind turbine is stored in storage batteries. -the electricity produced is sold to the local eletricity provider, in this case it will be necessary to ensure the profitability of its project with a current resale tariff for the terrestrial wind of 8.2 c € / kWh during 10 years, then between 2 , 8 and 8.2 c € / kWh for 5 years depending on the sites. – the wind turbine energy produced is used and the surplus resold to the local electricity provider according to the current tariff. heliosolaire offers a range of wind turbines for one of the most reliable with high production yields for your project of installation of domestic wind turbine. The installation of a wind turbine for a private on his land requires several steps prior to his installation. Heliosolaire offers you to review the different aspects not to be neglected in this exciting adventure before committing to spending on materials and other work. The site survey remains one of the fundamental points to be realized before any project of installation of a domestic wind turbine. For this reason, it is essential to be accompanied by an engineering consulting firm, because any site is unique and requires specific expertise. Two things to consider: the nature of the field and the “wind potential” or “wind study” of the site. As far as the field is concerned, it is preferable that it be as flat as possible in order to avoid disturbances due to an excessive relief which could change the profile of “wind speed” too much and thus cause disadvantages on the production of the wind turbine or over-speed. Also, it is also recommended to take directions clear of any obstacles close to this in order to optimize the efficiency of the wind turbine to the maximum, indeed the obstacles will also modify the wind speeds and therefore the production, so-called the “site turbulence“. To get a first idea about the “wind potential” of the site, we will check theoretically according to “the wind rose” weather France or ADEME deposits map. It is strongly recommended then to carry out a “measurement campaign” on site to accurately determine the wind potential of the area. An on-site study combining a wind vane and an anemometer on a mast from ten to thirty meters can measure the speed and direction of the wind, the data obtained over a period of several months will be recorded. By comparing the data obtained by this technique to the data provided by Météofrance, it is possible to establish a correlation coefficient. By applying this coefficient to wind rose data, you can get a good estimate of the wind potential at your particular wind turbine site. The regulation for the installation of a domestic wind turbine on its ground is quite precise. The area of ​​implantation must not be protected or classified, so the wind turbine must not exceed 12 meters in height otherwise a building permit will be necessary. 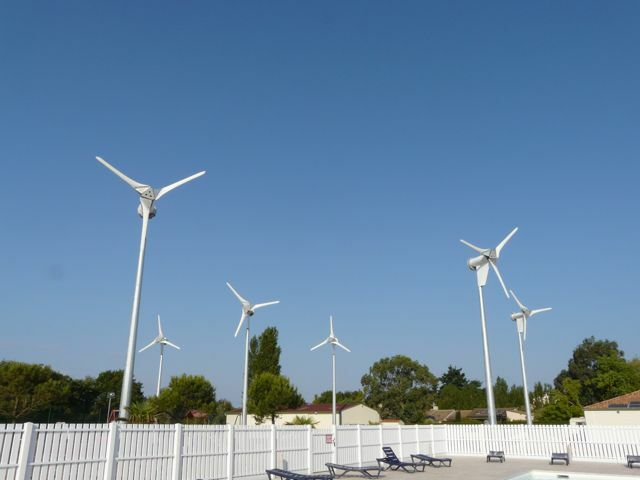 Also, it is strongly recommended to meet these neighbors to expose your project, because your project could lead to conflicts related to the noise or the visual impact of the wind turbine. It is important to note here that today’s high-quality domestic wind turbines are designed with state-of-the-art technologies to minimize physical stress and mechanical friction, which makes them silent even at high rotational speeds. Do you want a off-grid installation or connected to the electrical network? This is one of the questions that it is wise to ask when we want to implement a domestic wind turbine. The injection of the electrical production makes it possible to lower its electrical consumption in a random way according to the wind. The resale of energy to a supplier produced is not very advantageous since the purchase prices of wind power are equivalent to or even lower than the rate at which you will buy electricity from a supplier. It is also possible to store its energy in battery to use it as needed, so it is possible to install a hybrid system with photovoltaic equipment or the two renewable energy systems complement each other interestingly in terms of production. In any case, it will be necessary to accurately perform an energy balance in order to have a precise idea of ​​its power consumption and define these needs, this will also determine the power of the wind turbine. Depending on its budget it is better to invest in quality equipment, a wind turbine with a lifespan of 20 to 30 years depending on the model and start on a low-cost wind turbine can be a source of recurring problem. The indicated power (in watts) corresponds to the maximum output produced by the wind turbine according to a “nominal” wind speed. If you choose a wind turbine that delivers 1000 kWh power then it means that the maximum power output is 1000 kWh, but only if the winds are maximum and the wind turbine is in maximum capacity which is rarely the case since the power wind is random and rarely constant. On the other hand, the power curve is a decisive factor for choosing wind turbines according to the wind speed, if you have done a wind energy study beforehand then it will be possible to estimate its electricity production, and even to determine its most judicious location in terms of electricity production. It is also good to know that the international standard IEC 61400-2, which regulates the regulation of small wind turbines for individuals, imposes minimum safety requirements. It defines domestic wind turbines according to the wind speeds (the 5 wind classes I, II, III, IV and S) that they are able to support. Class I wind turbines are the strongest and are intended for areas with strong winds, while Class IV turbines are the least durable and are designed for areas with low winds. The wind speed is measured at the height of the wind turbine hub. The implementation of a wind turbine at a cost to consider depending on the size and power chosen, a project to install a wind turbine should be considered over the long term, about 20 years minimum. A recognized and robust wind turbine of the Skystream 3.7 or Kingspan KW3 type with connection costs, masonry work for mast fixing and the study of the wind potential can quickly rise to around 15’000 to 20’000 USD in total. It is important to compare rates, to neglect any aspect such as preliminary studies that are fundamental. The earthworks and foundations of the concrete base must also be the object of great attention in order to have a support made with the greatest care.